Filippo Voltaggio, Author, Speaker, LIFECoach, and TV and Radio Host, has incorporated the years of experience from being in front of, behind and on the little screen, the big screen and live stages into every thing he does. His passion has become incorporating all his gifts and using them for the good of many. From his singing, writing, hosting or one on ones to many on ones, Filippo brings it all together to create a unique experience all his own for all to make their own. From his acclaimed radio shows and TV and film appearances and performances, to his experiences in the world of business, working for a a Fortune Top 3 Company and later owning a boutique entertainment agency; to his study of human psychology and esoteric arts, Filippo has seen and experienced and learned so much about the human condition and the struggle to being our authentic selves. Filippo is a recent recipient of the President’s ‘Call to Service’ award from President Barack Obama and is listed in the Cambridge Book of Who’s Who. After receiving a degree B.A. 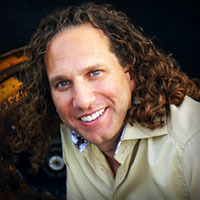 from USCD in Engineering Management, and being decorated in the his business career with top awards and honors, Filippo went on to study the field of energetic healing and became an Energetic Alchemist, Master and Teacher, a Reiki Master and Teacher, a Theta Practitioner Healer, a Reconnective Healer and an Ordained Minister.